For the past year or two, cloud computing has been grabbing as many headlines as just about any technological innovation in recent memory. The basic concept is actually pretty simple: cloud storage options give people the opportunity to sync their files and data across multiple devices (computers, mobile phones, etc. ), and to store this data in an online “cloud” instead of on a single device. Naturally, these services and capabilities are innovative on their own – but they have also now been enhanced through easy app downloads for mobile devices. For example, here are a few of the most popular cloud service apps on Android devices. The Mozy app is more geared toward syncing than it is toward storing files online, but it’s nevertheless a very handy tool. Mozy is designed as a cloud backup system for computer devices, but the app tool allows you to access this backup from your mobile devices. Basically, that means anything you have backed up on your computer – photos, documents, music, etc. – can be accessed on your mobile devices. This app requires a box.net account, but once you’ve signed up you get 5 GB of cloud storage space to use from your mobile devices. Basically, it’s a simple way of storing excess files and data to keep more open space available on your phone or tablet device. Many are starting to recognize ShareFile as a valuable cloud storage and file sharing service provider for businesses, but the mobile app is incredibly useful for individuals as well. 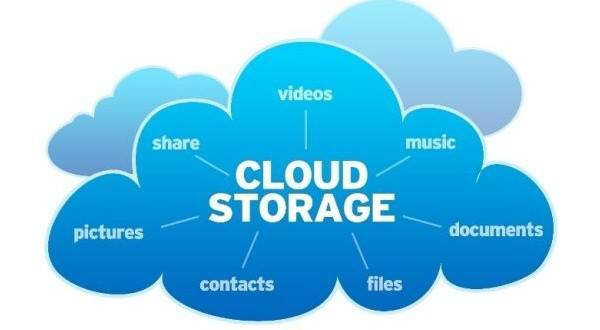 This is a high caliber cloud storage and file security service that allows you to store and organize your data across all your devices. Google’s answer to a number of other mobile music providers (as well as the fact that iTunes automatically syncs through Apple clouds), Google Music allows users to store up to 20,000 songs in free accounts available across multiple devices. Google Music is to some extent still developing, but the potential is there for one of the best mobile music apps in existence. This is another sort of “niche” cloud service, specifically meant for helping you to store and organize your photos. The app comes with 5 GB of free data space, and allows you to store photos on your computer, but access them (through the app) on your mobile device whenever necessary. If you have a lot of photos to store and you’re always snapping new ones, this is a great tool to take advantage of.